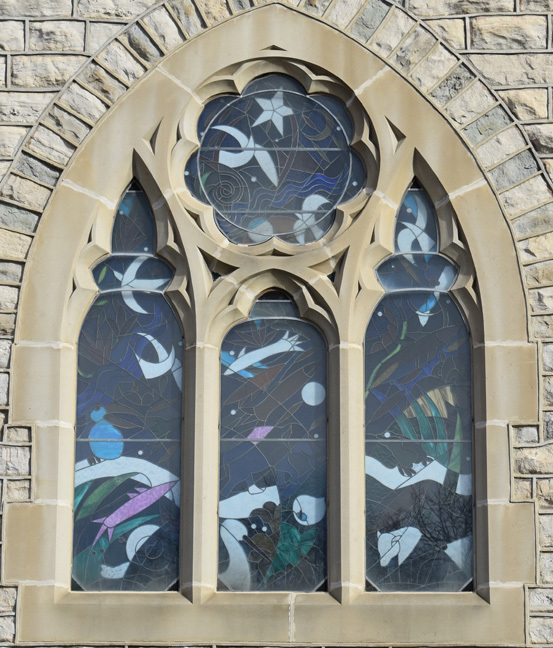 Brief Description of Subject: This is one of four transept windows designed by Buffalo N.Y. artist Ellen Steinfeld. The artist has entitled this window "Creation." "The window carries the theme of creation. 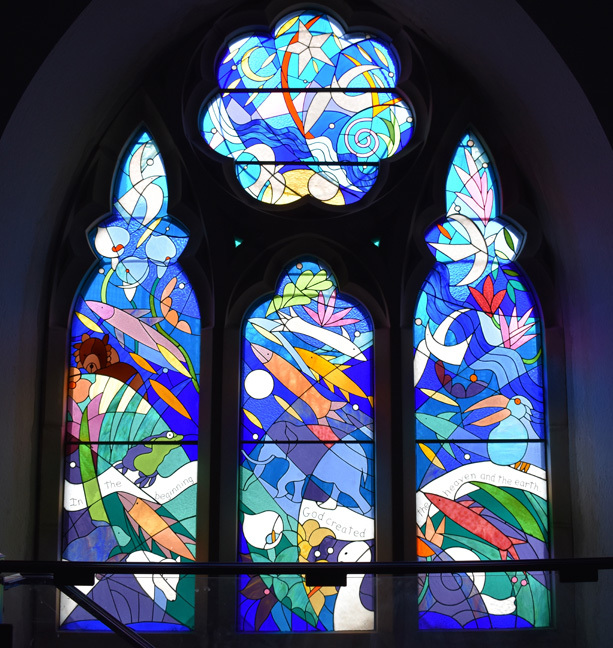 This window is a gift of Claire and Robert Brown and is given in memory of their daughter Alexa Jane Brown who died on August 27. 1999. The theme was chosen because of Alexa's passion for the environment. She was a wildlife biology major at the University of Vermont and was working for the Delaware Department of Natural Resources at the time of her death."